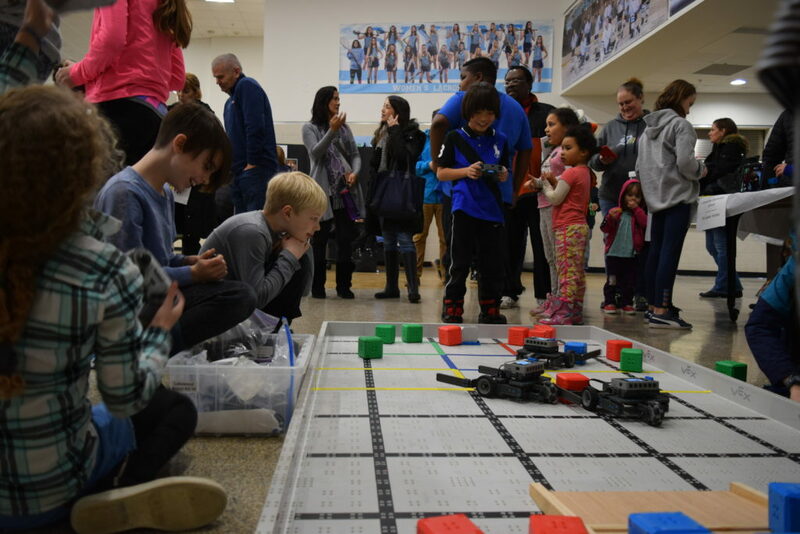 Teachers and students in all grades throughout AAPS showcased their STEAM learning, including their planning, evaluation and improvements throughout the design process at the AAPS District STEAM Expo Thursday night at Skyline High School. 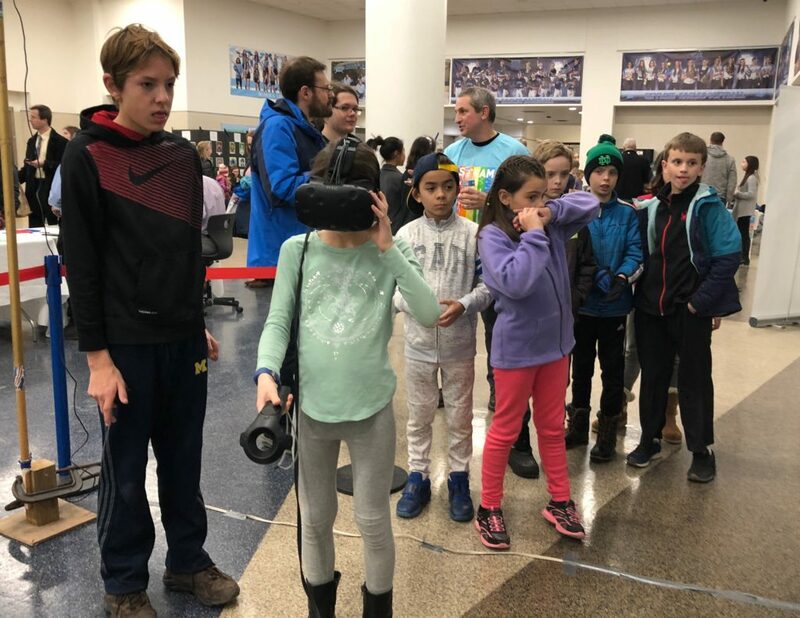 “It was an incredible way for students to engage in hands-on activities and observe future STEAM opportunities in A2 schools and beyond. 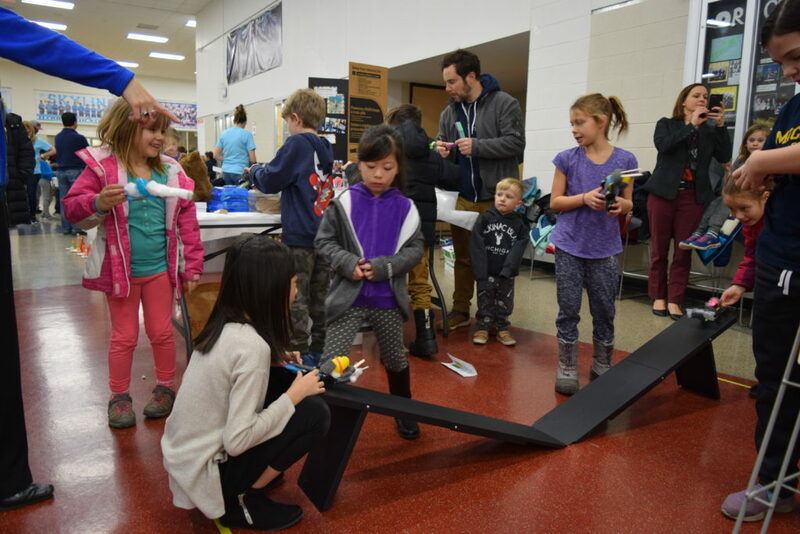 Student showcases showed their creativity and ingenuity come to fruition,” she said. 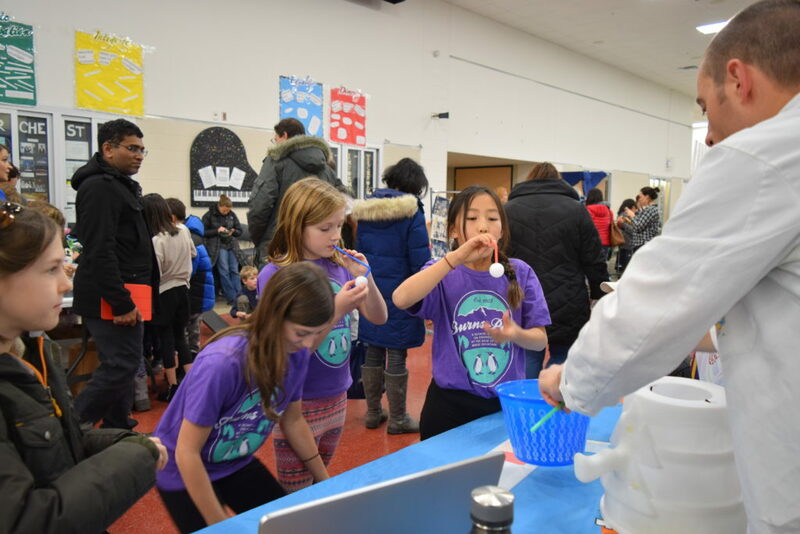 More than 500 people were estimated to have attended the Expo. 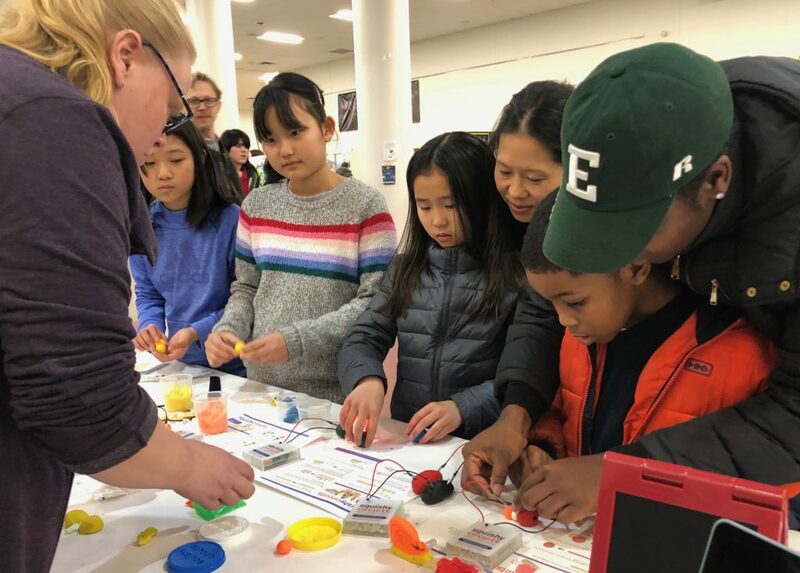 Also showcasing their STEAM-related career or activity at the Expo—and encouraging enthusiastic hands-on participation—were Spellbound, Ann Arbor District Library, the University of Michigan Museum of Natural History, SCRAP Box, Brain Monkeys, Nutty Scientists, Human Element, The Henry Ford, Google, U-M’s Tau Beta Pi. 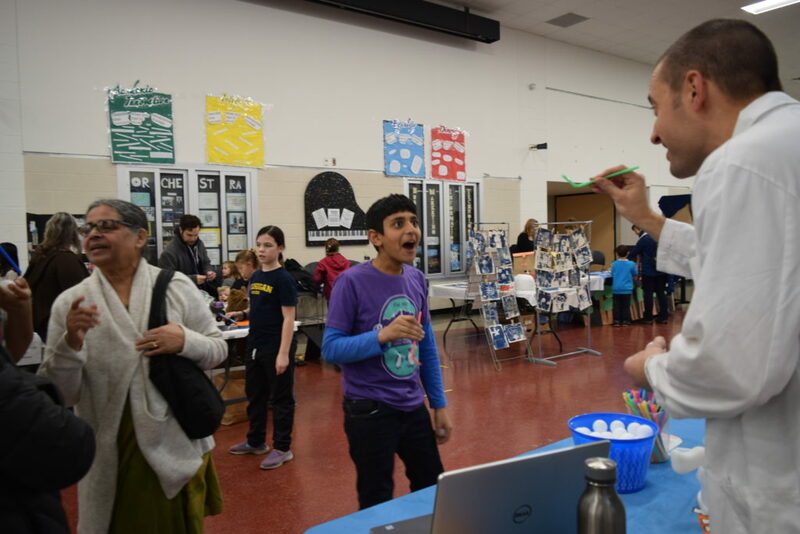 Costco provided refreshments for the night and jazz musicians from Community High School performed. 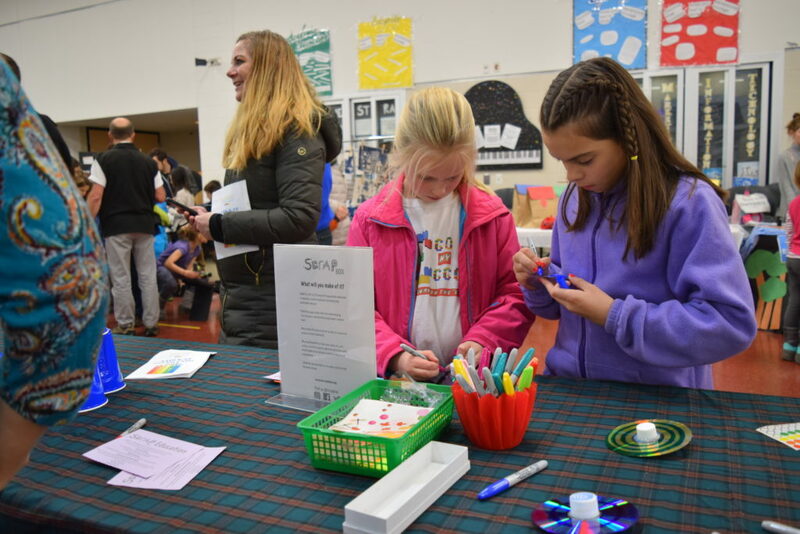 The STEAM Expo was planned and coordinated by Skyline Student Producers Celeste Forester, Leina Kaehr, and Valen Vargas. Student volunteers were Skyline DTEP Magnet seniors.